Ron Jacobson of Jupiter, Florida, never pictured himself as being the player in position to win a title at the United States Bowling Congress Open Championships, but rather as a supportive teammate ready to help others succeed. The focus changed for Jacobson during his singles set at the 2017 event in Las Vegas as the path to the pocket became clear for the 56-year-old right-hander. He went on to take the lead in Regular Singles with an 804 series. 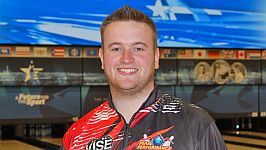 Jacobson (above) rolled games of 269, 258 and 277 at the South Point Bowling Plaza on June 25 to edge his way into the top spot, surpassing the 802 total posted by Matt Gasn of Clarksville, Tennessee, and Steve De Kerf Jr. of Sheboygan Falls, Wisconsin. Gasn (left) and De Kerf (below right) had shared the top spot for nearly three months, rolling their 800 series March 25 and March 31, respectively. Needing 275 in his final game for a share of the lead, Jacobson started with a spare before connecting for strikes on his next eight deliveries to set up the 10th frame. He rolled his ninth consecutive strike to start the 10th and secured enough for the outright lead, despite leaving the 3-6 combination on his second shot. He was unable to convert the spare, leaving the 6 pin standing. “Going into the final game, my attitude was that I needed them all,” said Jacobson, who made his 14th USBC Open Championships appearance and added sets of 656 in team and 564 in doubles for a 2,024 all-events total. 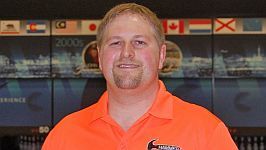 Defending Team All-Events champion Higgy’s Aquarium of Westerville, Ohio (above), handled the nerves, pressure and extra attention very well this week at the South Point Bowling Plaza and made a run at a second consecutive title. 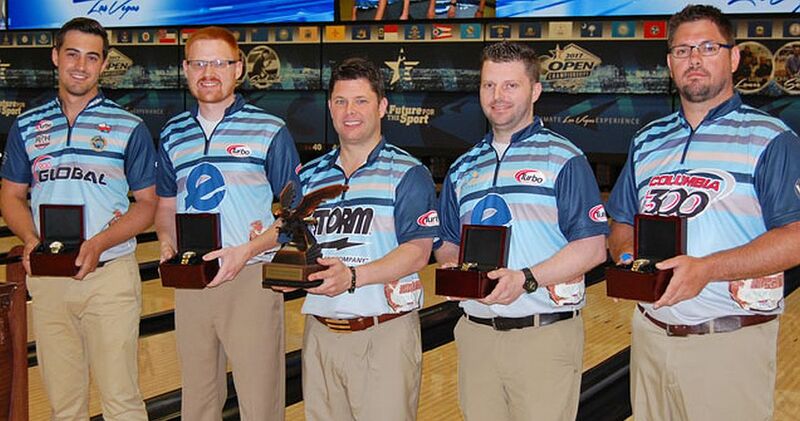 The group closed with a strong singles showing June 23 and came within 30 pins of a shot at becoming the first team since 1998 to win back-to-back Team All-Events titles at the USBC Open Championships. Higgy’s Aquarium settled into second place in the 2017 standings with a 9,930 total, just shy of Team NABR of Fairport, New York, which leads with 9,957. The last team to successfully defend a Team All-Events title at the Open Championships was Lodge Lanes of Belleville, Michigan, which won in 1997 and 1998. Joe Bailey led the way this year for Higgy’s Aquarium with a 2,106 all-events total, which is fifth in Regular All-Events, and he was joined by Josh Conner (2,083), Dan Higgins (2,046), Chad Roberts (1,917) and Tony Carson (1,778). The teammates averaged more than 238 during an amazing singles run at the Bowling Plaza. Higgins led the surge with games of 236, 289 and 256 for a 781 total, which moved him into the top five in Regular Singles. Bailey added 748 and was followed by Roberts (746), Conner (703) and Carson (593). 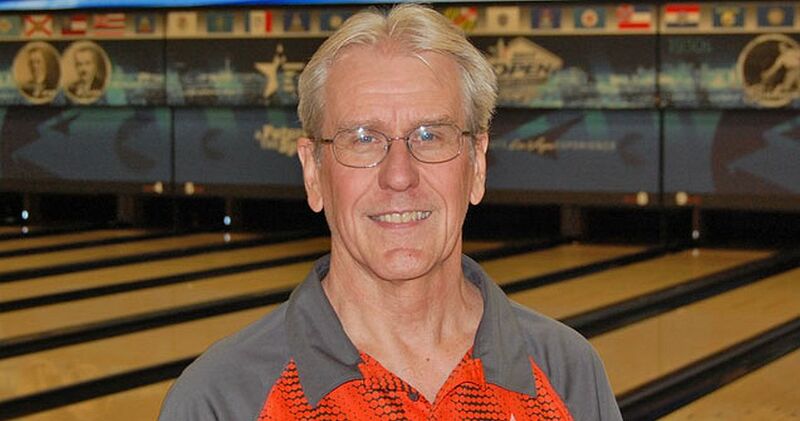 Jim Gochis of Ivanhoe, Illinois, became the newest member of the 50-Year Club at the USBC Open Championships when he made his milestone march to the lanes June 26. 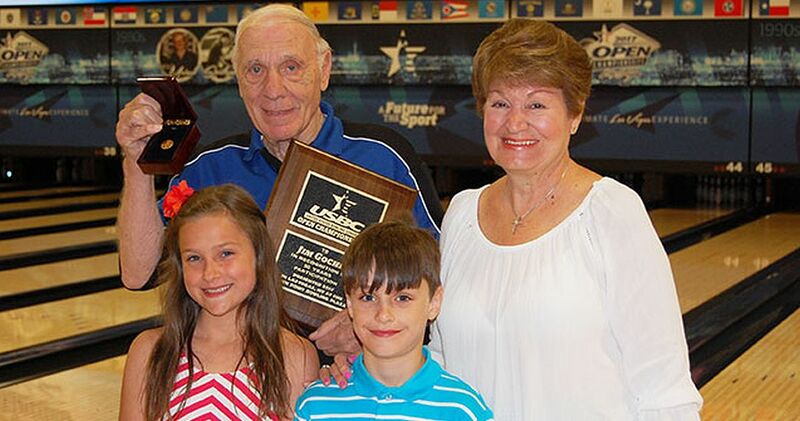 The 79-year-old (pictured above with his family), whose tournament career began at the 1967 event in Miami, was the 21st and final bowler to reach the five-decade mark this year at the South Point Bowling Plaza. He received a plaque, chevron and diamond lapel pin to commemorate the achievement. This year, Gochis rolled sets of 459 in doubles, 446 in team and 410 in singles for a 1,315 all-events total. In 50 years on the tournament lanes, he has knocked down 84,616 pins for a career average of 188. There’s only a few weeks left at the 2017 USBC Open Championships. The event’s 149-day run at the South Point Bowling Plaza will conclude July 16. Competition began Feb. 18. By tournament end, more than 10,000 teams will have hit the lanes at the Bowling Plaza. 1, Vince Biondo/Brandon Biondo, Carpentersville, Ill., 1,452. 2, Mike Reasoner, Hazlet, N.J./John Nolen, Waterford, Mich., 1,431. 3, Andrew Herbert, Eden, N.Y./Brad Angelo, Lockport, N.Y., 1,428. 4, Jacob Kent/Doug Kent, Newark, N.Y., 1,425. 5, Tim Pfeifer, Oakdale, Pa./Chris Bardol, Brockport, N.Y., 1,417. 6, Justin Nieman, Macomb, Mich./Craig Nidiffer, New Boston, Mich., 1,411. 7, Ryan Zagar, Racine, Wis./Tylor Greene, Davison, Mich., 1,409. 8, Richard Graham, Lancaster, Pa./Andrew Carson, York, Pa., 1,395. 9, George Gohagan III, Houston/Fero Williams, Hyattsville, Md., 1,390. 10, Charles Richey, Concord, N.C./Steve Arehart, Chesapeake, Va., 1,385. 1, Ron Jacobson, Palm Beach Gardens, Fla., 804. 2(tie), Matt Gasn, Clarksville, Tenn., and Steve De Kerf Jr., Sheboygan Falls, Wis., 802. 4, Dan Higgins, Westerville, Ohio, 781. 5, Adam Barta, Girard, Ohio, 776. 6(tie), Austin Gratzer, University Place, Wash., and Patrick Girard, Quebec City, 773. 8, Curt Dupre IV, Metairie, La., 772. 9, Tommy Barnwell, Peoria Heights, Ill., 771. 10(tie), Sam Sylvester, Hugo, Minn., and Todd Lathrop, Colchester, Conn., 770. 1, Brad Angelo, Lockport, N.Y., 2,176. 2, Jacob Boresch, Kenosha, Wis., 2,122. 3, Jakob Butturff, Chandler, Ariz., 2,110. 4, Brandon Biondo, Carpentersville, Ill., 2,108. 5, Joe Bailey, Doylestown, Ohio, 2,106. 6, Todd Lathrop, Colchester, Conn., 2,105. 7, Chris Gibbons, Madison, Wis., 2,102. 8, Mike Reasoner, Hazlet, N.J., 2,093. 9(tie), Stuart Williams, Phoenix, and Curt Dupre IV, Metairie, La., 2,090. 1, Wiley Collins, Winter Springs, Fla., 652. 2, Robert Linder, Henderson, Colo., 634. 3, Nick Stenberg, Big Timber, Mont., 621. 4, Michael Tengan, Hilo, Hawaii, 607. 5, Megan Fernandes, Los Angeles, 600. 6, Gary Pettway, Sweetwater, Tenn., 598. 7, Melvin Reynolds, North Ridgeville, Ohio, 596. 8, Rory Hanlon, Las Vegas, 592. 9, Efrain Rodriguez, New York, N.Y., 590. 10(tie), James Lee, North Platte, Neb., and Katey Reed, Miles City, Mont., 589.